Costa Rica is popular tourist destination in Central American, known for its many nature preserves and for being a stable democracy in a region where that historically hasn’t been the norm. Costa Rica has coast both along the Pacific Ocean and the Caribbean Sea, while bordering to Nicaragua in the north and Panama in the south. It has a fascinating geography. Costa Rica is not a big country; with just above 51,000 square kilometers of landmass it is roughly the same size as Slovakia. It has a population of roughly 5 million people, of which approximately 2 million live in the sprawling San José metropolitan area, although only 350,000 or so are residents of the city proper. The economy of Costa Rica was once heavily dependent on export crops such as coffee and bananas, but the situation is now more diversified with many Costa Ricans working in sectors such as finance, pharmaceuticals, tourism & hospitality, and corporate services for foreign companies. Free Trade Zones (FTZ) have been established to attract foreign investments. Despite being such as small country, Costa Rica is home to an astonishingly high number of species – both flora and fauna. 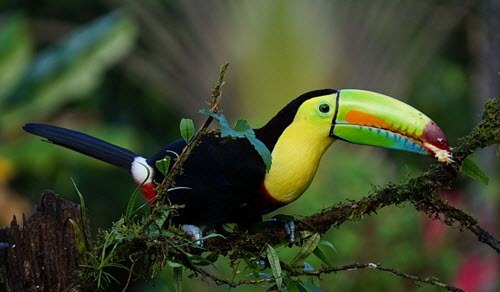 Almost 25% of Costa Rica’s land area consists of national parks or otherwise protected nature, although the degree of protection vary significantly, both legally and de facto. Deforestation is a problem and less than 4% of Costa Rica is now covered in primary forest. The ecotourism sector in Costa Rica started growing significantly in the 1980s and towards the end of the 20th century Costa Rica had become somewhat of a poster child for tropical nature-centered tourism, with its dry-, rain- and cloud forests, volcanic landscapes, bird-rich wetlands, and thriving coral reefs. Over 12,000 plant species are known to live in Costa Rica, of which roughly 950 are endemic to the country. There are over 830 species of birds, 440+ species of amphibians & reptiles, 230+ mammal species, and over 180 species of fresh water fish. Located between 8 and 12 degrees north of the equator, Costa Rica is a tropical country dominated by warm weather. There are many factors impacting the weather though, such as elevation and topography, and Costa Rica features a wide range of microclimates. The mean annual temperature is circa 27 °C in the coastal lowlands, but only 20 °C in the areas of Cordillera Central where most of Costa Rica’s population live. Generally speaking, the rainy season in Costa Rica starts in May and ends in November. Some parts of the country will however be rainy year round or almost year round due to local conditions. One of the wettest part of the country is the Caribbean slopes of the Cordillera Central, where you can expect over 5,000 mm of precipitation in an average year. 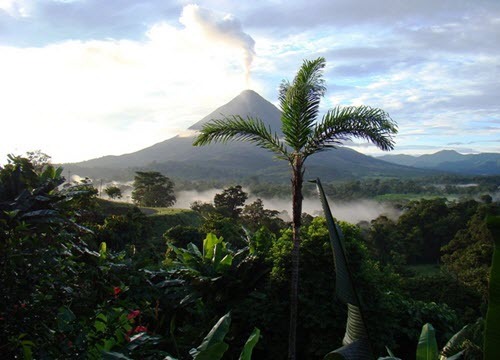 Costa Rica is home to several volcanoes, both dormant and active ones. Of which 0.7% is water. Costa Rica offer a large number of Casinos and a large number of online casinos targetting the US market are based in and regulated in Costa Rica. The regulation in Costa Rica do not protect the gambler very well. Do not gamble in a online casino based or regulated in Costa Rica. Click the link to find a safe online casino. Prostitution Legal and widespread. Requires license.